FIRST THING THIS morning, CAO offers made their way to thousands of students around Ireland, following on from last Wednesday’s Leaving Cert results. For some lucky students, this morning was straightforward: receive first choice, accept the offer. For others, things may have be a little trickier, with the prospect of Round Two offers or deferrals looming. 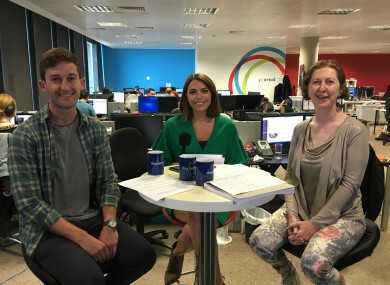 From 10am today we went live on Facebook with guidance counsellor Beatrice Dooley and outgoing DCU SU Welfare Officer Cody Byrne, to answer some of your most pressing questions – from getting your head around this year’s points to making alternative plans if things didn’t go your way. Wondering if you got the course you wanted? You’ll find a full list of this year’s CAO points right here, broken down by institution. Email “Watch: We answered all your CAO questions live”. Feedback on “Watch: We answered all your CAO questions live”.